1. How do I get to the shop? 3. What does Wonderwool sell? 6. How can I be a member? 7. I want to sell my clothes, how to? 8. When can I sell my clothes? 9. How does Wonder$ work? 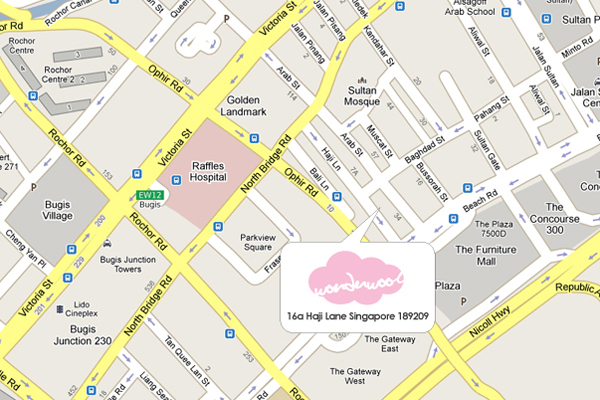 16 A Haji Lane, on the 2nd floor. 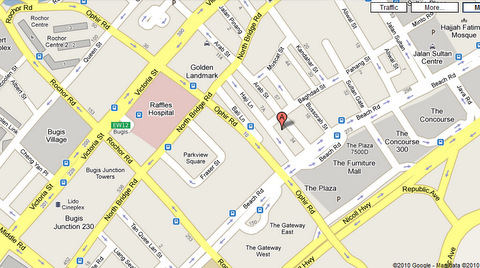 Our shop is a 5-10 minute walk from Bugis MRT Station and if you get lost, feel free to call us at+65 62970169. 1-8 pm everyday, except Tuesday. We sell imported items from everywhere in the world! Don’t worry, it’s not just random knock-offs from Thailand or China but good, quality and fashionable clothes that we will buy ourselves! We are also getting brands that are unavailable in Singapore, like H&M. We have very, very rare special items that we want to bring to you/Singapore. For example, an original Tommy Hilfiger white tube dress that’s brand new and sold out everywhere! Or the H&M Garden Collection white dress with floral applique or the Jimmy Choo collaboration. For such items, we’ll put it up for online where you can see the pics and bid for them as we understand that some of you will not have time to come to the store. Our membership card entitles you to exclusive benefits! We’ll inform you of special items (see point 4) that we don’t put up in the store. Also, you earn a stamp each time you spend $50 in our shop. Get 5 stamps and we’ll give you a mystery gift/voucher worth $10. Get 10 stamps and we’ll reward you with a $20 voucher! To sweeten the deal, we are also using the membership card to reward you with the Wonder$ each time we adopt your pre-loved clothes! 6. Cool! How can I be a member? Simple! Come down to our shop and fill up the forms and we’ll issue you our pretty membership cards. We are giving away the first 500 membership cards for free but subsequently, it’s chargeable at $5 per card or free for every $50 purchase. We will have a designated timing, one weekend each month. If you are interested to be updated, please join our Facebook Page or join our mailing list by dropping us an email at mywonderwool@gmail.com. Wonder$ is awarded to you when you sell your clothes to us and you can use them at any time to make purchases in our store. It’s basically selling your old clothes to exchange for new ones, how awesome is that? We fell in love with thrifting while overseas and hope to bring the concept back to Singapore. We know buying second hand clothes can sound abit iffy to some of you but trust us, we painstakingly select them and offer you styles that do not hurt your wallets. In addition, we hope to do our parts by helping to recycle and save the Earth! So, come down and give us a chance!